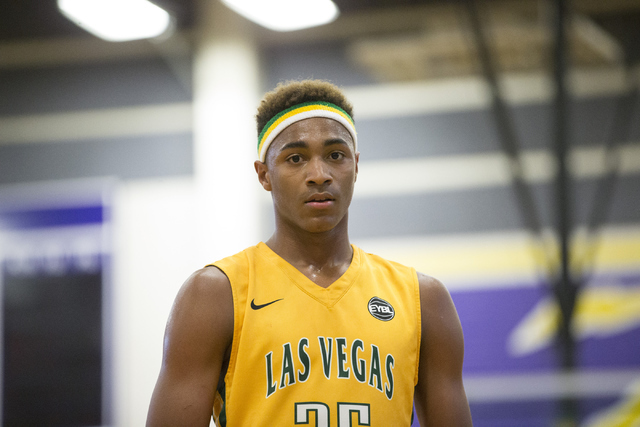 Bishop Gorman senior shooting guard Chuck O’Bannon opted against family tradition and made an oral commitment to Southern California on Friday. 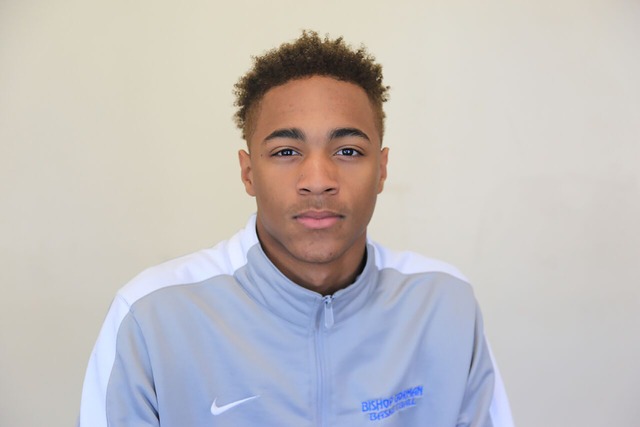 Charles O’Bannon, Bishop Gorman (6-5, G/F): The junior was the leading scorer for the Division I state champs, averaging 21.4 points, 5.3 rebounds and 2.2 assists. He made the All-Southwest League first team. O’Bannon made the announcement on Twitter. His commitment is nonbinding, and the first day O’Bannon can sign a letter of intent is April 12. USC’s coaches cannot comment until that time. Reached by phone, O’Bannon said he could not talk at the time about his decision. “I’m excited for Chuck,” Gorman coach Grant Rice wrote in a text message to the Review-Journal. “USC did a great job recruiting him, and it felt like the perfect fit for him with their coaching staff and style of play. He has a lot of family in the LA area, and they will get to see him play. 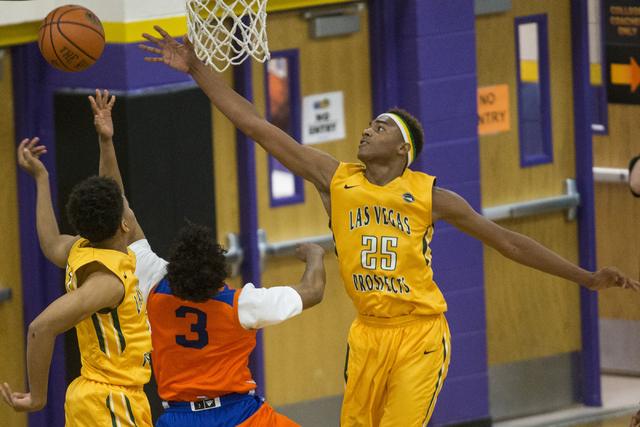 O’Bannon, a consensus top-50 recruit, picked the Trojans after narrowing his choices to North Carolina State, Texas, UCLA and UNLV. His father, Charles Sr., and uncle Ed O’Bannon were key members of UCLA’s 1995 national championship team and are widely considered two of the Bruins’ top players of the past 25 years. 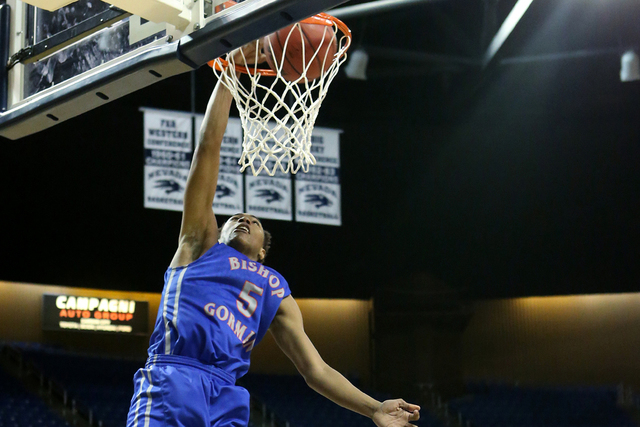 The 6-foot-6-inch O’Bannon led Gorman in scoring as a junior, averaging 21.4 points, 5.3 rebounds and 2.2 assists, and was a first-team all-state selection after helping the Gaels win a fifth straight Class 4A state title. He scored a game-high 26 points in the Gaels’ 83-63 victory over Coronado in the state final. 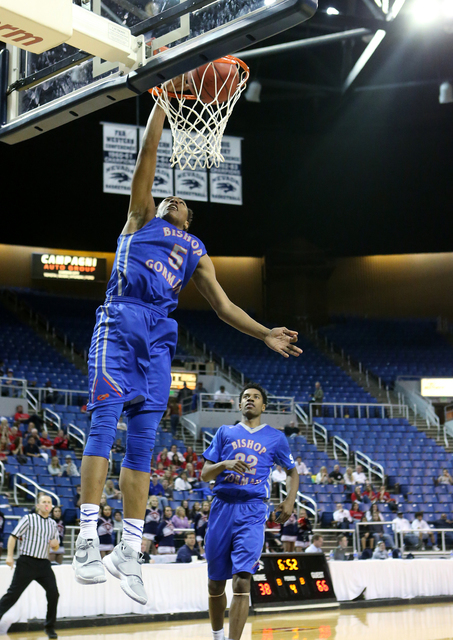 This season O’Bannon is averaging 19 points despite missing four games because of injury for the Gaels (6-3). He scored 29 points in Gorman’s 66-64 victory over Roosevelt (California) on Tuesday in the third-place game of the Tarkanian Classic Platinum Division. O’Bannon is expected to be an ideal fit on the wing in USC coach Andy Enfield’s up-tempo offense. The No. 23 Trojans improved to 13-0 by beating Wyoming 94-92 in overtime Friday at Orleans Arena and reached the NCAA Tournament last season for the first time since 2011.